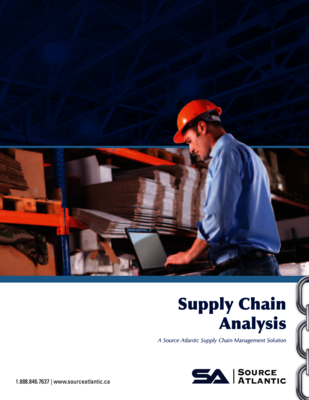 Our experience serving many different industries positions Source Atlantic to be experts in supply chain mapping and help our customers reduce their total cost of ownership. Drawing from extensive internal and external process improvement and mapping experience, our supply chain specialists perform a current-state assessment of your business processes, dividing your supply channel into seven segments: Source, Stock, Store, Issue, Deliver, Support, Plan. The mapping stage includes review of physical assets such as buildings, shelving, and inventory, as well as systems, data, processes and policies, and performance management. Following the assessment our supply chain team will provide a summary of various improvement opportunities to pursue. Customers who implement our solutions see reductions in MRO costs, reductions in number of suppliers, consolidation of SKU’s, reductions in slow and obsolete inventory, increase in process efficiencies, safety improvements, cleaner data and much more. 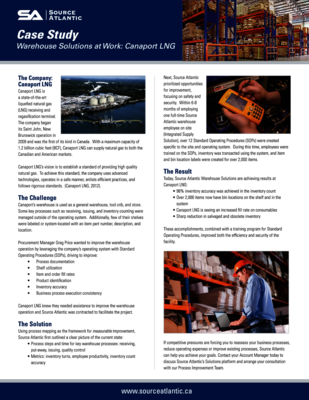 Understanding today’s increasingly complex supply chain can be tough. We can help so you can focus on what your business does best!